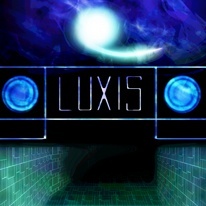 You are LUXIS (Living Utilitarian Xenolux Iterative System)! Get lost in the atmospheric music and glowing minimalist world, then find your way out.Traverse the labyrinths, change your color to move through corresponding walls, solve puzzles, and avoid danger.Search the mazes to find "Glitches" and unlock more complex labyrinths and puzzles. All tutorials, settings, and navigation in the game are made with symbols (no language is used) so anyone from any background can learn and play.